Happy New Year everyone. This is the first tour we're hosting for 2012. 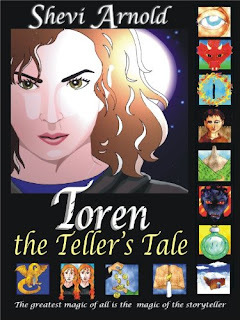 We welcome you to the book tour for Toren: The Teller’s Tale by Shevi Arnold. Summary: Have you ever been swept away by a story? If you have, you know the magic of the storyteller--and you know that magic is real. That is seventeen-year-old Toren's magic . . . but is she brave enough to accept the power that lies within her? When Toren returns home, her little sister, Noa, is full of questions. Noa demands to know why Toren wakes only at night; what causes her almost constant pain; and above all, why, after completing her apprenticeship, she has decided not to become a wizard. To answer, Toren weaves a tale about a journey that leads her to discover the greatest source of magic in her world--herself. It is a revelation that comes at a high price. Through her darkest years, Toren finds solace and strength in the stories she tells. But her greatest tale is not yet finished. Together with Noa, she sets out on a new adventure. And in the end, she must choose: will she continue to cling to her dream of an ordinary life, or will she dare to let her own magic shine? TOREN: THE TELLER’S TALE is more than an inspirational fantasy. It is a philosophical tale about the enchantment of literature, because in Toren's parallel world there is no greater power than the magic of storytelling. TOREN: THE TELLER’S TALE is intended to be the first book in the Toren the Teller series. Toren closed her eyes. “So, you want to know who I am,” she said. “It seems a simple question: ‘Who are you?’ And we always give it such simple answers. ‘Who am I? I’m Toren. I’m Noa. I’m the eldest daughter of Omri the vintner. I’m the youngest. . . .’ Of course, these answers aren’t true. They are simple, quick and easy, while the truth is none of those things. Even a mouse has a story as grand as the sky. “You want to know why I’m not a wizard. The simple answer is I do not wish to be. But you want the truth: you want to hear my tale. Where should I begin?" 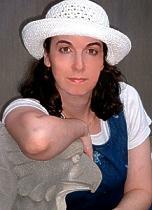 About the author: Shevi Arnold is the magical writer of Toren the Teller’s Tale, which is available from Amazon as an e-book in two parts: book one, Toren the Apprentice’s Tale and book two, Toren the Teller’s Flight. Editions for Barnes and Noble Nook and the Apple iBookstores, as well as a print version, are in the works. The book is suitable for teens and tweens. 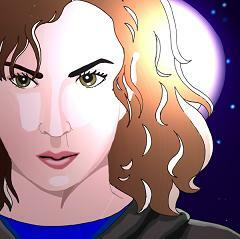 If you’d like to learn more about Shevi Arnold’s wizardry, check out her blog or her website. You can also follow her on Twitter or become a fan on Facebook. So refreshingly different! I look forward to reading this book and the others.